As the lineage of NEUROSIS nears its thirty-year mark, the band continues to perform across the planet sporadically but steadily — not having toured this heavily since the earlier years of their career — in seemingly unending support of their 2012-released tenth studio LP, Honor Found In Decay, Mark’s review for which you can read here. This week, NEUROSIS has confirmed their participation in this year’s colossal Housecore Horror Film Fest. The second installment of the gathering, set to run from October 23rd through 26th in Austin, Texas, will see NEUROSIS joining the lineup of bands which also includes Decapitated, Lustmord, Danzig, Samhain, Eyehategod, Vader and a rash of others. The Housecore Horror Fest performance falls directly in line with NEUROSIS’ set at the four-day Southwest Terror Fest III: The Western Front, where they’ll headline the main stage on Saturday, October 18th, joined by The Body, Author & Punisher and Sorxe, followed by a concert in Denver the following evening, Sunday, October 19th, with Subrosa, In The Company Of Serpents supporting. 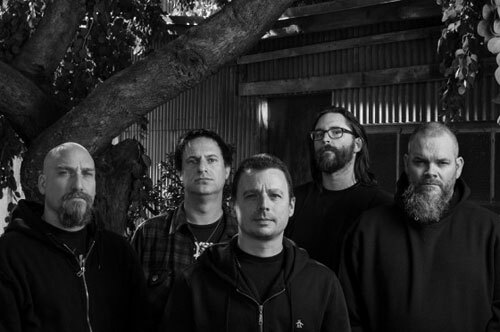 Preceding their upcoming US live actions, and following their most recent European run which included sets at Graspop and Tuska Open Air festivals, on the first week of August, NEUROSIS prepares to venture into Australia for the first time ever in just over two weeks on a six-city trek through Brisbane, Adelaide, Perth, Melbourne and Sydney between July 4th and 9th, with two shows scheduled in Sydney.